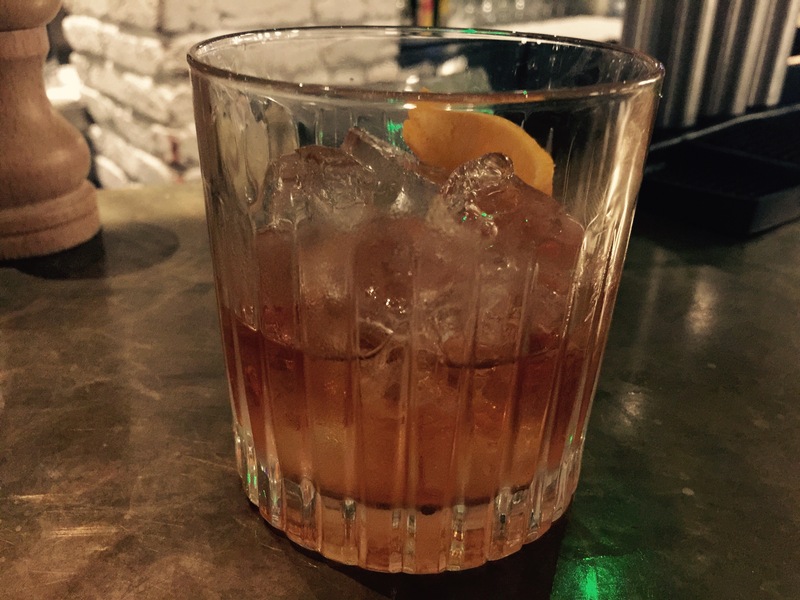 For some peculiar reason Old Fashions made with Canadien Maple Syrup and Woodford Reserve are in vogue in London. This is the second time in a week that a restaurant had them featured on the menu. I wonder if Woodford representatives are on patrol here? I am not complaining as both times I have had the drink it has been perfect. Even though it is obviously a sweet drink, and definitely out of my normal barel-comfort-zone, I enjoyed them. A boozy desert. 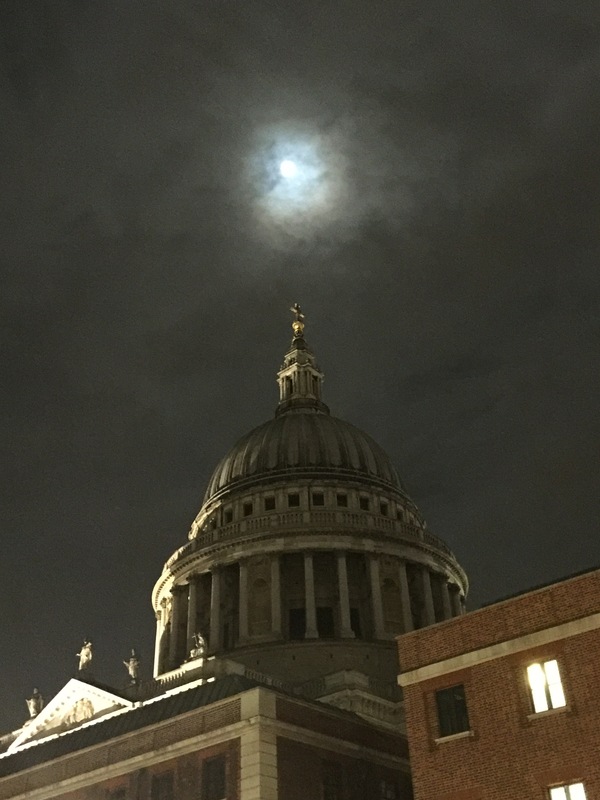 Tonight I had my drink in the Copa restaurant across the street from the beautiful St Paul’s Cathedral. I nice eerie sky over the magnificent dome. Last week I was able to visit the National Gallery in London. I do this as often as possible after a day in the office. Frequently I make my rounds visiting the work Turner, Van Gogh, Piccasso and Seurat. 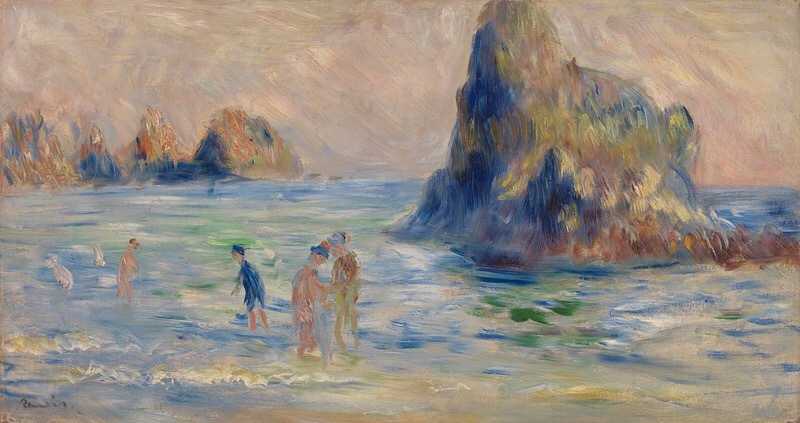 This particular visit I noticed Moulin Huet Bay, Guernsey by Renoir that was painted in 1883. I thought that colors were amazing, the simple brush strokes conveyed so much feeling of the beach. His ability to make the sky, the sea mist and the water seem as one and also distinctly separate forced me to stare (a bit too long). The way that the rock outcroppings are painted with tropical colors and an almost Gauguin-esque feel surprised me that it was in fact Renoir. It has been studied and identified that the rocks have been identified as ‘Les Tas de Pois d’Amont’ on the left, while those on the right are probably ‘La Surtaut’ (Cradle Rock) which appear in Guernsey.